Professional-looking swimlane flowchart examples and templates help you create cross-functional flowcharts rapidly. Swimlane flowcharts are often used to make our cross-functional flowchart more scalable and easier for repeated editing and collaboration. Professional-looking examples and templates of Swimlane Flowchart which help you create cross functional flowcharts rapidly. Document 6 Sigma and ISO 9000 processes. Click here to free download Swimlane Flowchart Software. 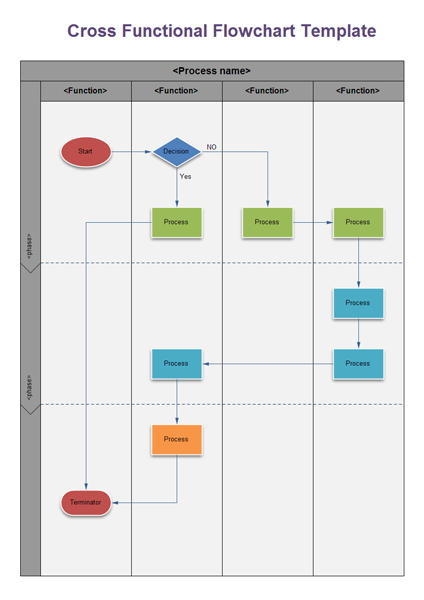 An example swimlane flowchart is presented below, showing the simple horizontal cross functional flowchart. 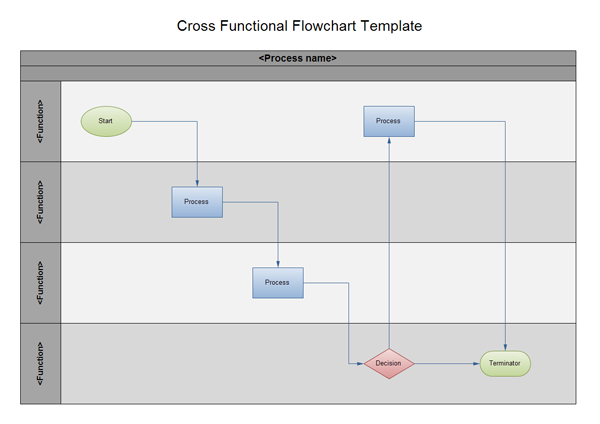 Here is an example cross functional flowchart, showing the blank vertical cross functional flowchart. It can be as a basic cross functional flowchart template. The following examples are some built in swimlane flowchart examples in Edraw. Then you can use the built-in template to create and present your cross functional flowcharts in minutes.